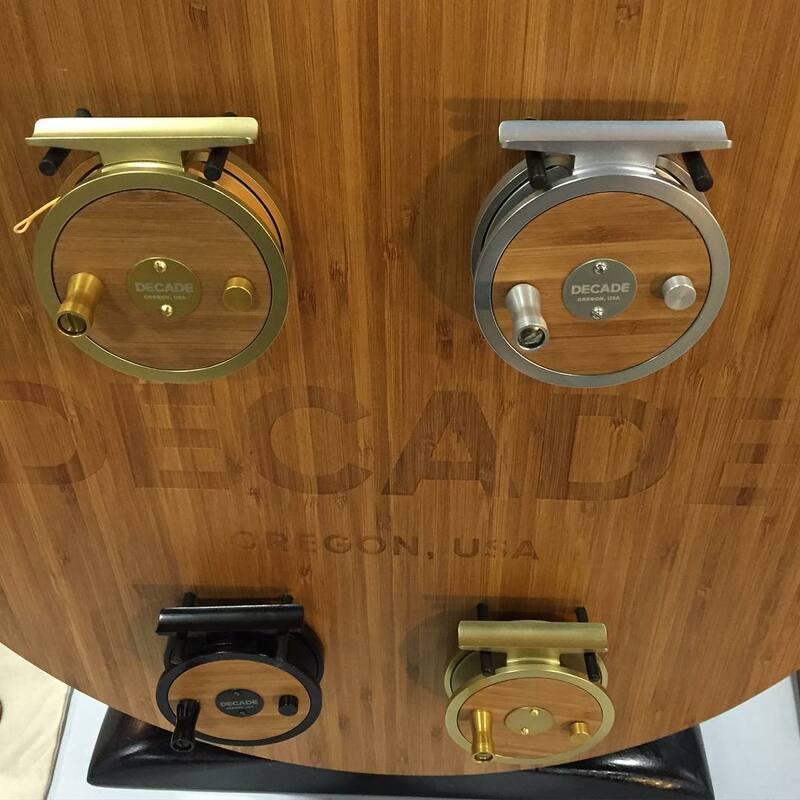 Don't talk about reels all that frequently around here, but these beauties from Decade will stop you in your tracks. 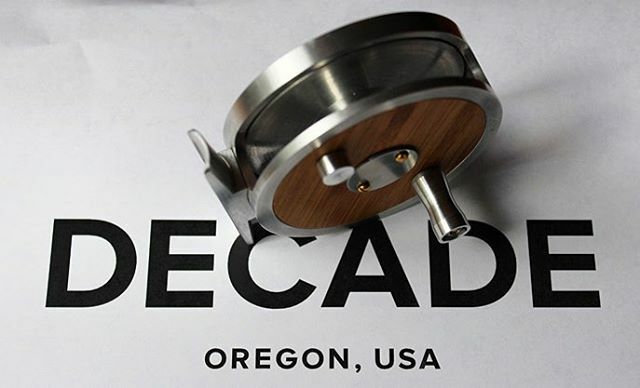 Designed, made, and assembled in the USA (Oregon), I certainly wouldn't mind sliding one of these click & pawls on my trusty 3-weight. Doesn't seem like their website is really e-commerce enabled at the moment, but in doing some research on their Instagram & Facebook pages, appears the 3/5 model can be had for around $375 later this Spring. Where are they for sale and what sizes?? Not a lot of info out there yet. Check the links in the blog post for more info. Their website link is in the first sentence. My thoughts exactly (on the wood). Not really sure, wood doesn't look to be sealed, but could be wrong. Doesn't make it less pretty though. Thanks guys! 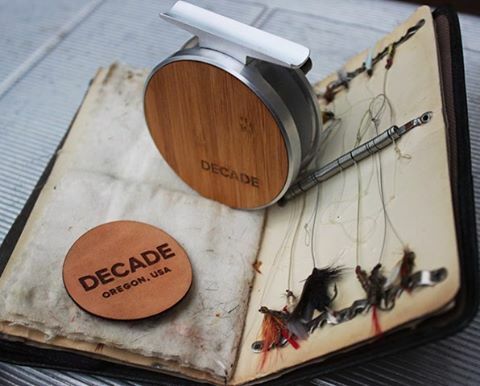 The Bamboo face on the spool and frame are sealed and treated to protect them from the elements ( water, sun... ). Several coats in fact. I preferred to keep that "natural " look, so I was very selective with my finishing. The website is now updated with order info and specs. I'm always interested in reels. This looks interesting and I'd love to see the drag system. I want to hear it. Click & pawls need to sound right...you know when you hear it! You're right. I'll post a little video on the instagram/ facebook page so people can hear it. I think it sounds great- nothing like hearing that click! Like the wood look though. Those are beautiful for sure! Thanks for the write up Michael! I debuted these reels a couple of weeks ago at the Fly Fishing Show in Pleasanton Ca, and the response was great. I have recently updated the website (decadereels.com) with specs and order info, and will continue to keep adding information and images. 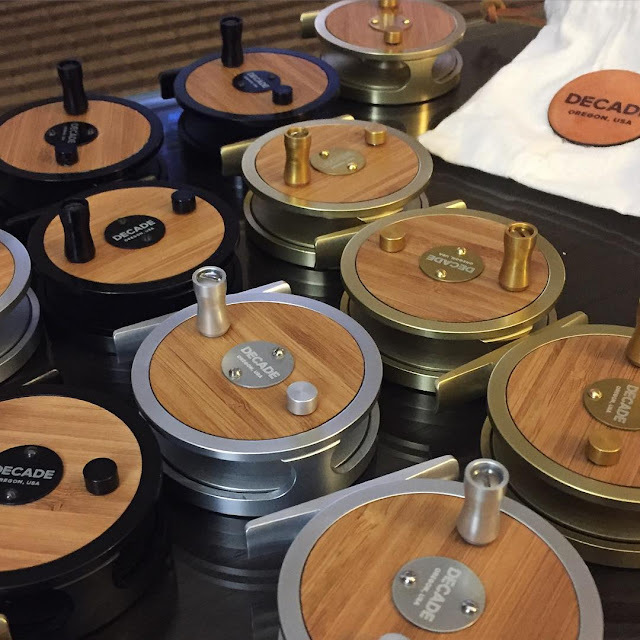 Whoa...those are some fantastic looking reels. Fresh & clean!